Home › Article › Can We Meet the Challenge? Research universities must become more agile, collaborative, global in focus, and open to risk. How will it feel to become a second-class nation? Inferior in technological innovation, second class in artistic creativity, a follower rather than a leader? This is possible—not certain—but a very real danger if the United States continues on its present course. The United States can claim 35 of the world’s top 50 research universities, but we face intense competition from other nations that see the economic advantage of strong research universities. The U.S. share of global research spending declined from 39 percent in 1999 to 34 percent in 2010 and is expected to keep falling, according to a 2012 report from the National Academy of Sciences. While the growth in U.S. spending on R&D is increasing by 3.2 percent per year, China is escalating its investment at six times that rate (20 percent), and other nations are expanding advanced education on a scale mirroring that of the United States in the last century. Moreover, we now see a reverse of the “brain drain” that brought so much talent to our shores. Four in 10 students pursuing science and engineering doctorates at U.S. universities are from other countries. Many of them who once would have chosen to live in America now plan on returning home because they see a bright future for their scientific work there, and U.S. immigration standards impose barriers to retaining this trained talent. This might not be so worrisome if U.S. undergraduate enrollment in math and science fields could meet our long-term need for research scientists. We know it cannot. Only a small fraction of our undergraduates study the natural sciences or engineering compared with near majorities in Singapore, China, and France. While in earlier times, our country rallied around science, education, and advanced learning, today these are not national priorities. We confuse the prevalence of modern technology with national strength in science. But the core of technology, as well as other advances, is science. Nations on the rise see support of research universities as an investment in the future; unfortunately, many Americans speak of it only as a cost. Vigorous concerted action to support basic research is paramount in contemporary America. Putting a man on the moon was extraordinary but relatively simple compared with tackling global climate change, for example. Recognizing the complexity of the problems we face augurs the capacity to solve them—as a nation and as global citizens. No other American institution rivals higher education’s commitment to discovering and sharing knowledge at its most basic level. At the research university I lead, we have developed powerful partnerships regionally and internationally to benefit our state and the larger world. The University of Michigan, Michigan State University, and Wayne State University, all public universities, began collaborating in 2006 by forming the University Research Corridor (URC) to leverage the tremendous strengths of our scientists. Today the URC ranks among the country’s top university research regions. The University of Michigan is also working with Qatar University to conduct social science research in Gulf states; with the University of Ghana to train OB/GYNs to be experts in family planning; and with the University of São Paulo to better understand adrenal cancer’s prevalence in Brazil. ■ Supporting a culture of risk-taking. Faculty seeking grant funding often must demonstrate how a project might be directly applicable to a practical advance. But the most creative and novel studies—the ones that often do lead to breakthroughs—can sometimes be stymied. We must ensure that our best minds have the support to follow innovation wherever it leads. At Michigan, for example, we’re committing $100 million for medical researchers to conduct novel science in a “fast forward” manner. ■ Intensifying interdisciplinary research. Advances in medicine, for instance, will depend on combinations of biology, nanotechnology, information sciences, and engineering. When Michigan pledged $30 million to hire 100 junior faculty members—during the depths of the recession—the qualification was that scholars work in teams, across boundaries, to tackle society’s thorniest problems. Emerging combinations will yield unimaginable discoveries that will improve lives. ■ Expanding our reach by offer- ing a high-quality, affordable education, not only for low-income students but also for students from middle-class families who face hardship owing to the recent recession. Widening our doors develops the talents of all of our citizens, including bringing more exceptional students into STEM fields. ■ Spending public money efficiently, encouraging greater philanthropic support, and ensuring that students complete degrees in a timely manner can motivate taxpayers, corporations, foundations, and state and federal governments to strengthen their support for our endeavors. ■ Ensuring that strong undergraduate teaching is part of the larger research continuum. 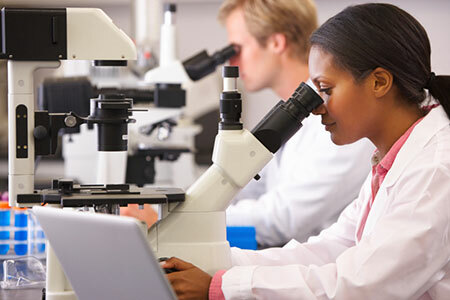 At Michigan, we emphasize that research and teaching are not antithetical; we are proud of the fact that we are one of the great universities of the country, distinguished in both teaching and research, and that we help create the next generation of leaders, scientists, and an educated citizenry. Now more than ever, the research university must provide a thriving culture for entrepreneurs and risk takers whose discoveries will help us meet today’s challenges and position ourselves to meet tomorrow’s.